Next ROCK OR DIE Monthly #58 will be aired at 7 pm (GMT+9) on Friday, April 3rd. Following 4 bands will be featured on the show. After it was aired in Japan, it can be heard on a podcast on this site. Stay tuned for the next ROCK OR DIE Monthly. 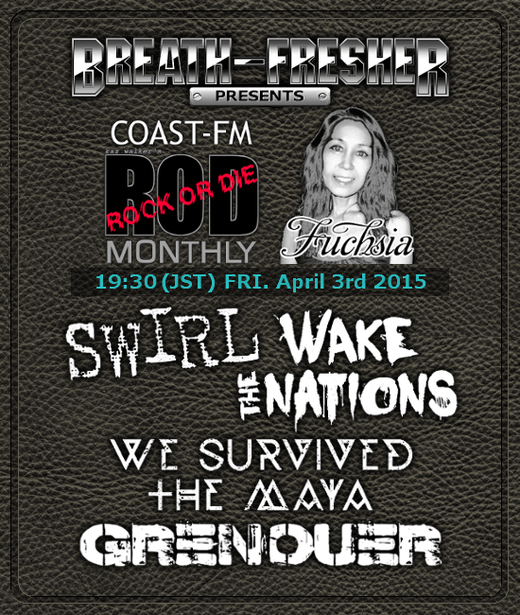 GRENOUER - Album "Unwanted Today"
WAKE THE NATIONS - Album "Sign Of Heart"
WE SURVIVED THE MAYA - EP "We Survived The Maya"